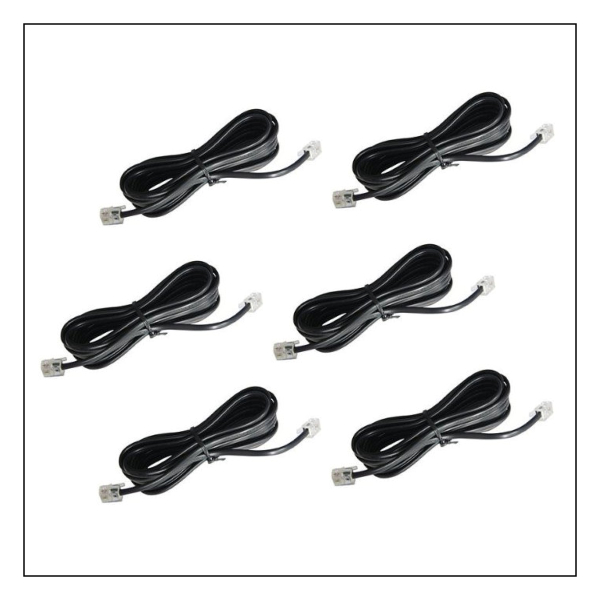 6 Pack of RJ14 Line Cords for connecting telephone company lines (CO Lines) to X16, X25 and X50 servers. Note: These cords are not recommended for connection of X16 Digital Phones. For connection of digital phones use X16 Twisted Pair Line Cords SKU: LCTP7BK6PK.